Thrill-seeking students had the time of their lives during a ski trip to Nassfeld, in Austria. 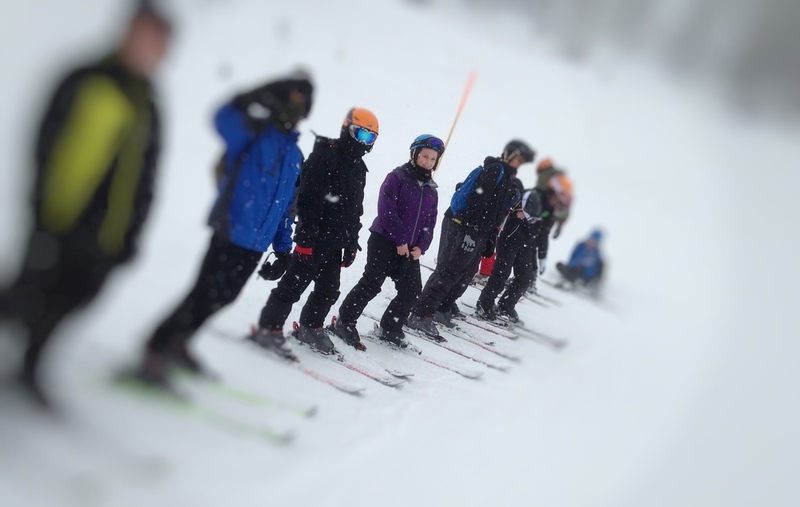 Eighteen students from years 9-13 hit the slopes for six days during the half-term holidays under the guidance of professional instructors as part of the action-packed trip. They also took part in a number of other activities including 'Winter Olympics'-themed events such as curling as well as bowling and a quiz night. Mrs R.Coldicott, who organises the trip every two years, said: "This was the hardest year we have had in terms of conditions and the visibility was very poor so they did especially well. "They just got stuck in. Everybody was extremely complimentary about their attitude, behaviour and manners, from the hotelier to the coach driver and instructors. We shared the hotel, the Pension Leitner, with a group from Welshpool High School and we have received a postcard from them thanking us for helping to make the week so special." She added: "Before we went we had a two-hour training session on the dry slope at Telford, but 11 of the group had never been skiing before. However, some of them were moved up from the beginners group to the intermediate group because they did so well. "It was a great trip and we all had a fantastic time." Posted on March 4, 2016 by Vicky Nash.